This is the first phone call between Presidents Clinton and Yeltsin shortly after Clinton’s inauguration. Clinton lays out his foreign policy priorities emphasizing that “Russia [will] be a top priority for U.S. foreign policy during my Administration.” He states his determination to build “the closest possible U.S.-Russia partnership,” and to do “whatever we can to help Russia’s democratic reform to succeed.” He tells Yeltsin that the appointment of “a very close friend and an expert on Russia, Strobe Talbott,” will guarantee a “high degree of personal involvement” on his part. Yeltsin is very encouraged by Clinton’s words and thankful for the offer to build a partnership and cooperate on major international issues. He accepts Clinton’s invitation to meet in person and wants it to happen as soon as possible at any place that would be convenient for the U.S. president. The relationship starts on a high note with high expectations on both sides. This memcon is important because it shows the impressive variety of issues on which Clinton and Yeltsin had a productive exchange and agreed to cooperate: replacing COCOM with a new regime; a deal on highly enriched uranium (HEU) that Russia was going to remove from the nuclear warheads being withdrawn from Kazakhstan; Ukraine and Belarus and partly return to Ukraine as fuel for nuclear power stations and partly sell to the United States in the framework of the Megatons for Megawatts program; working with Ukraine to return the nuclear weapons to Russia; progress on CTBT; non-proliferation, and specifically limiting Russia’s sales of reactors, missiles, and submarines to Iran and India; getting North Korea to the negotiating table; peacekeeping in Georgia and Nagorny Karabakh; and the withdrawal of Russian troops from the Baltics. Memorandum of Telephone Conversation: Telcon with President Boris Yeltsin of Russian Federation. 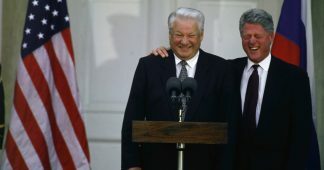 Clinton calls Yeltsin immediately after the Russian president makes a speech announcing his Presidential Decree 1400-dissolving the Parliament and setting the date for early elections to a new legislature and a referendum for the draft Constitution. Clinton expresses his full support for Yeltsin but also a concern about the fate of reform and democratic process in Russia. In response, Yeltsin paints a black-and-white picture of the political struggle saying that the Supreme Soviet “has totally gone out of control. It no longer supports the reform process. 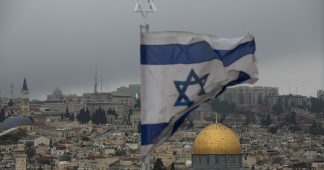 They have become communist.” He assures his U.S. partner that “there will be no bloodshed,” and that “all the democratic forces are supporting me.” Clinton underscores the importance of holding the elections “in a fully democratic manner,” and providing the opposition full access to free press without hindrance. Yeltsin promises to stick to democratic principles and reiterates his commitment to peaceful solutions. Clinton mentions that a $2.5 billion assistance package is being considered by Congress at the moment and the preservation of democratic order would be important for its passing. Yeltsin promises that now the “reforms will go much faster” and thanks the U.S. president for his continuous support. Source: Foreign Affairs Oral History Collection, Association for Diplomatic Studies and Training, Arlington, Virginia, www.adst.org, https://adst.org/wp-content/uploads/2018/02/Pickering-Thomas-Reeve.pdf, pp. 357-362 (15th of December, the Ides of December 2006) and pp. 386-391 (19th of February 2007). Memorandum for the President from Anthony Lake: Clarification on Your October 5 Telephone Conversation with President Yeltsin. Cable from American Embassy Moscow to Secretary of State: Secretary’s Visit to Moscow: Domestic Political Dynamics. Chargé d’Affaires and future Ambassador to Russia James Collins sends Secretary Christopher a briefing cable in advance of his visit to Moscow where he is expected to meet with Yeltsin and other government officials. This is the first visit of any Western senior official to Moscow after Yeltsin’s dissolution of the Parliament and the October 3-4 bloodshed in the center of Moscow. In the cable, Collins describes the pre-electoral landscape in Russia on the eve of Christopher’s visit. Although 92 parties are registered for the election, that in itself does not guarantee free and fair elections. The cable describes Yeltsin’s decision to push through the new “half-baked” Constitution, which concentrates the “preponderance of authority in the hands of the chief executive.” Collins points out that “even many reformers worry about establishing a new Russian democracy so heavily tilted toward presidential power.” The cable describes the split within the reformist camp into “radical” and “cautious” reformers, the confusion at the regional levels regarding whether the elections would be held for regional legislatures, and the continuing ban on nationalist and right-wing parties and their newspapers. In the follow-up to the previous cable (Document 6), Chargé d’Affaires Collins reviews foreign policy issues Christopher is expected to cover in Moscow in his meetings with Yeltsin and Kozyrev and emphasizes that Yeltsin is looking for gestures of support from the United States. New elections are scheduled for December and Yeltsin needs all the support from the West he can get. 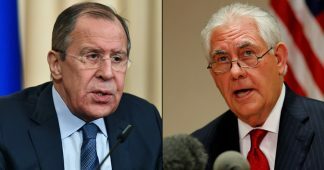 Collins advises the secretary of state to be sensitive to Yeltsin’s and Kozyrev’s need for Russia to be seen domestically as a partner with whom the West consults and does not just take for granted, and he lists some controversial issues: NATO expansion, the post-Soviet space, and Ukraine. On his trip to Europe to explain the U.S. position on NATO expansion, Secretary Christopher comes to Moscow after meetings in Budapest. He and special ambassador Strobe Talbott meet with Foreign Minister Kozyrev and his deputy, Yuri Mamedov, before they visit Yeltsin at his country residence. Christopher raises concerns about the fairness of the upcoming elections with his Russian counterparts. He mentions that the United States has $12 million to contribute and is willing to send monitors or observers, which Kozyrev welcomes, saying they might help to guard against fraud by communist-leaning local authorities in rural areas where “the old kolkhoz mentality” still prevails. Christopher puts special emphasis on ensuring a free press since the order banning opposition newspapers was still not lifted. Kozyrev does not have a definitive answer to the question regarding banned newspapers and he says only six or seven political organizations will be banned from participating in the elections. In this memo about the Kozyrev meeting, Christopher is very brief about the NATO discussion. 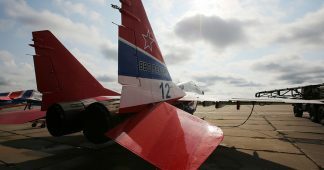 He tells Kozyrev that the U.S. is sensitive to the Russian position and has developed a new proposal as a result: the Partnership for Peace (PFP), which would be open to all countries on an equal basis. Christopher does not directly address Kozyrev’s concern about the decision regarding expansion, but, misleadingly, lets it sound as if PFP is the alternative for the time being. 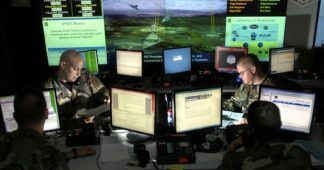 The rest of the conversation deals with crucial issues on which the United States needs Russian cooperation, such as support for Eduard Shevardnadze in Georgia and the withdrawal of nuclear weapons from Ukraine. Christopher is taken to Yeltsin’s country house, Zavidovo, for a meeting that lasts only 45 minutes. Yeltsin has most likely already been briefed by Kozyrev about his conversation with the secretary of state. 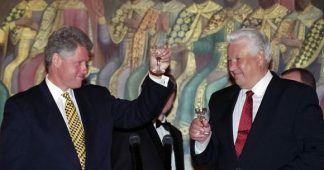 In the beginning of the conversation, Yeltsin reviews the events of September 21-October 4 in Moscow and expresses “special appreciation to President Clinton and Secretary Christopher for their early and very supportive backing. The Russian president talks about the upcoming elections, which he calls “the first free and fair election for the parliament since 1917,” and assures Christopher that the country has calmed down after the crisis. Yeltsin praises the new Constitution that is “up to the standards of the best Western democracies,” which would allow them to “end the old totalitarian regime with the power assigned to the soviets.” He also welcomes the Clinton visit to Moscow planned for January 1994. Christopher starts with strong praise for Yeltsin’s handling of the constitutional crisis with the Parliament, passing on “high appreciation” and emphasizing that Clinton is “extremely supportive” of his “superb handling of the crisis.” According to Christopher, Clinton “admired the restraint” that Yeltsin has practiced since September 21 and that in the end he acted in a way that “caused the least loss of life.” He adds that “on Sunday October 3, the President also closely followed events and wanted to tell President Yeltsin that […] our thoughts were with you in Moscow all day.” Christopher offers technical assistance for the election and notes that “there are already numbers of our experts here who could be helpful but we would like to assist in any way in which we could do so.” Essentially, Christopher lauds Yeltsin’s handling of the crisis and never raises any concerns mentioned in Collins’ cable (see Document 6, above) about irregularities in the electoral process or the nature of Yeltsin’s constitution. Memorandum of Telephone Conversation: Telcon with President Boris Yeltsin of the Russian Federation. The rest of the conversation focuses on preparations for the upcoming summit with Clinton’s three-part agenda: “economic assistance to support your reforms; our common effort to convince Ukraine to go non-nuclear; and our foreign policy agenda.” He promises to start a “quiet study” of how to increase IMF and World Bank assistance to Russia. Yeltsin is grateful for the support and emphasizes the importance of cooperation on denuclearization of Ukraine. He enthusiastically accepts Clinton’s program. Source: Interview conducted by Petr Aven and Alfred Kokh and ultimately published in their book, Gaidar’s Revolution: The Inside Account of the Economic Transformation of Russia (London: I. B. Tauris, 2015), pp. 297-333.